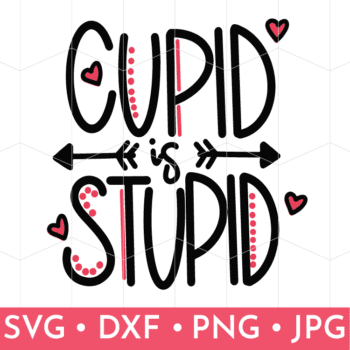 For those who don’t love Valentine’s Day, this Cupid is Stupid SVG is for you! Perfect for wine glasses, shirts, totes and more! 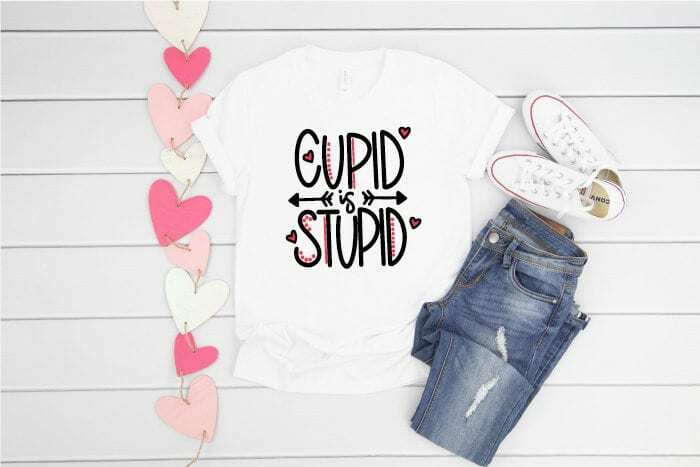 This would be fun for Celebrating Galentine’s day or just for a funny laugh since most of the stuff you see is about love for this holiday! 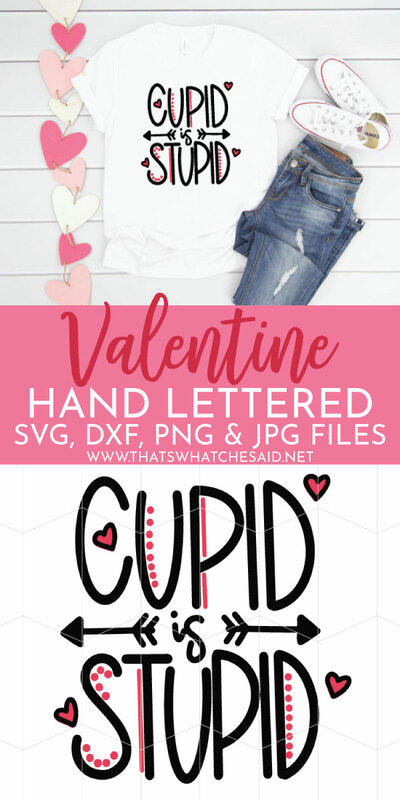 If you happen to create a fun project using this design be sure to tag me on social media and use the hashtag #thatswhatchesaid. I’d love to see your creations! Are we friends yet on Instagram? I have two accounts, my rainbow account here and my general blog account here. Facebook? Pinterest? Let’s be friends! As always you can sign up for my emails to never miss a thing *cough, cough* never miss another flash freebie *cough, cough* It’s free and I keep your info safe. If you need some fun things to add this SVG to, I have my favorite blanks to use here in my Amazon Shop! This Flash Freebie is no longer available and has been moved to my shop! Sign up for my emails to never miss another Flash Freebie I offer!